Archived News from our Tapestry Studio. COLLECT 2018 saw the unveiling of a tapestry called The Fallowfield by artist Eva Rothschild in collaboration with the Master Weavers at West Dean Tapestry Studio.This 16-month collaboration was the result of an Open Call, which was announced in June 2016. The call required bold and imaginative ideas from artists who needed no previous experience of working with tapestry. Rothschild's winning design enabled the creation of a hand-woven tapestry of her design - as well asthe opportunity for her to undertake a three-week residency at the College working closely with Master Weavers to expand her knowledge of the weaving process and develop her final design. Master Weavers Philip Sanderson and Katharine Swailes have both been shortlisted for the Cordis Prize 2017. 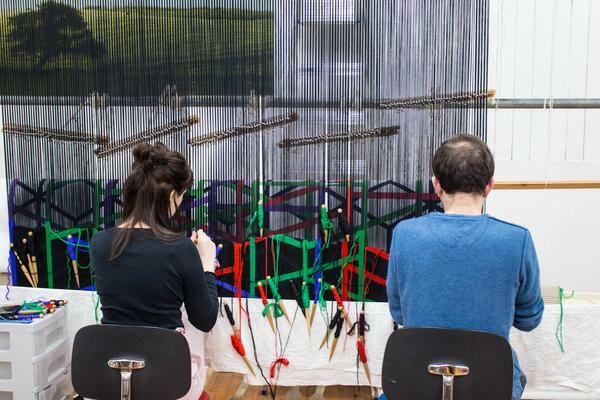 Visual Arts Scotland in collaboration with the Cordis Trust are delighted topresent the shortlisted artists for the third in the series of the Cordis Trust Prizes for Tapestry. The shortlisted entries will be exhibited at Visual Arts Scotland's next Exhibition in the Upper Galleries of the Royal Scottish Academy in December 2016, and the winning entry will be selected from the shortlisted exhibits. 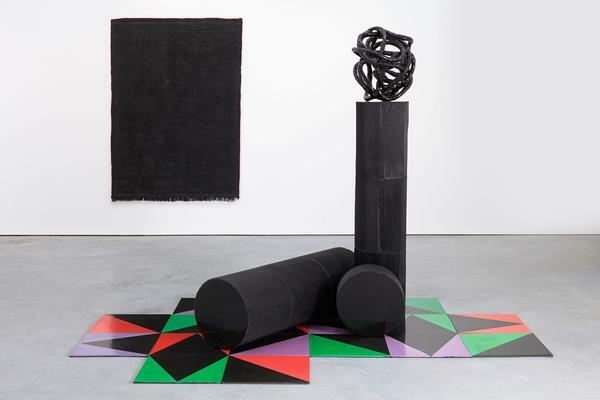 Irish artist, Eva Rothschild, a leading sculptor who has gained extensive international recognition for her work, has been named winner of West Dean Tapestry Studio's first ever Tapestry Commission Open Call. 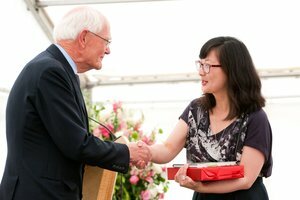 Rothschild will be in residence at the Tapestry Studio working closely with Master Weavers to develop the final design. Rothschild was selected from 150 artists who submitted a design or concept to be hand woven by Master Weavers at the studio in early 2017. 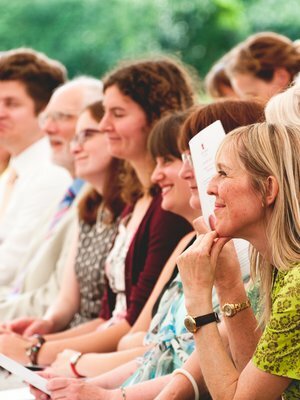 Entries were received from all over the UK, from the Isle of Skye to the Isle of Wight. 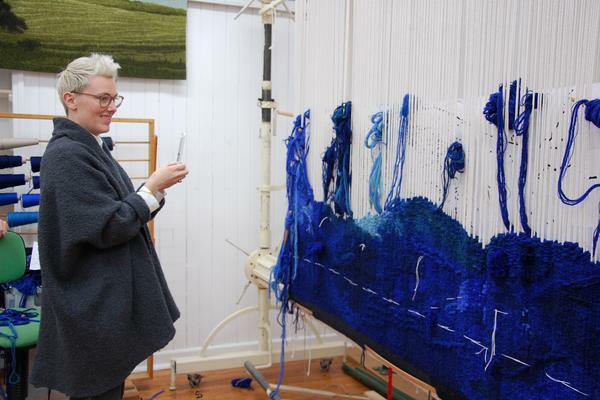 "I am delighted to be undertaking the tapestry commission at West Dean. I have a longstanding interest in the woven surface and pieces made using both existing hand woven rugs and woven paper and leather have had a presence in my practice for many years," says Rothschild. "All of my work in this area has been self-taught and the commission offers me the opportunity to collaborate the with master weavers at the highest level to develop a new artwork and to expand the vocabulary of my practice in general." Image: Artist: Eva Rothschild. Title: What I Want 2014. Title: The Xs and the Ys 2014. Medium: Resin, Wool, Steel Frame 184 x 128 x 3 cm. Photo: Courtesy of the artist Stuart Shave/Modern Art, London. Photography by Robert Glowacki. 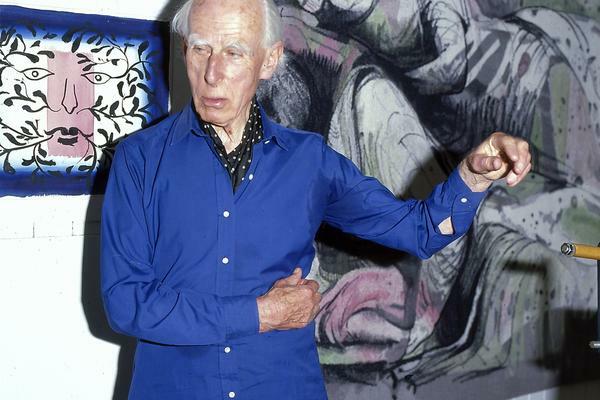 A new exhibition John Piper: The Fabric of Modernism at Pallant House Gallery run from 12 March to 12 June 2016. The exhibition is the first to focus on the English artist's textile work. The exhibition will feature original archive photographs of the series of art tapestries Foliate Heads woven in the 1980s by West Dean Tapestry Studio in collaboration with Piper (1903 - 1992) one of the leading Modernist artists of the 20th century. Shown alongside related paintings and other studies the archive materials will demonstrate how Piper's designs were intricately connected with his wider work. 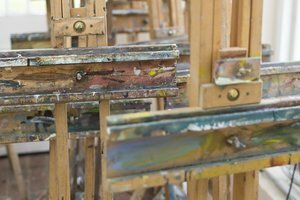 "West Dean Tapestry Studio has a long established history of working with artists, designers and weavers to translate an artwork into a hand woven tapestry," says Philip Sanderson, Master Weaver and Associate Tutor, Tapestry and Textile Art at West Dean College. "The work produced is usually on a grand scale; a tapestry is often considerably larger than the artwork being translated, sometimes as much as 15 times. The mutually creative dialogue, between the creator of the artwork and the weaver, is a joint adventure, a journey taken together". International interior designer, Faye Toogood, was given carte blanche to conceive a complete universe in Mayfair's neighbourhood. "It was like creating a living work of art," says Toogood. Nearly everything for the London home of an American couple was custom made and Faye 'chose to work exclusively with British materials and craftspeople'. West Dean's Tapestry Studio collaborated with the designer to create a made-to-order tapestry for the master bedroom. Storm, woven in shades of sapphire with bespoke hand-dyed yarns, was hand woven by Philip Sanderson, master weaver at the Chichester studio.